The day started out sunny and spectacular but the afternoon turned into a soaker. We did not let that interfere with our day, so we went out and took some pictures. We started downtown on Belleville street at Quadra Park. This is a great spot to stop for a rest when cruising down town. Right next to Quadra Park is the Swiftsure Restaurant in the Days Inn on the Harbour. This restaurant has a great summer time patio and a restaurant with some of the best views of the Inner Harbour. Check it out. From there we drove into Oak Bay to complete some family tasks. 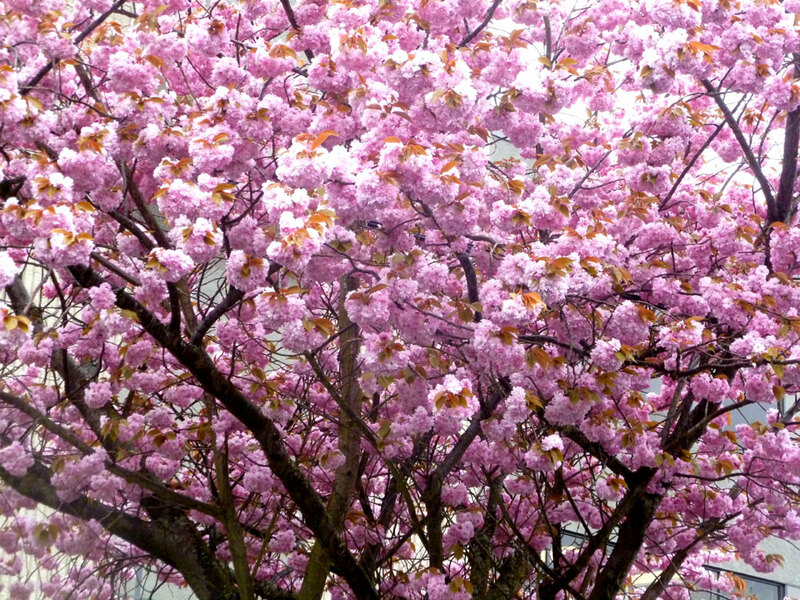 Here we discover some amazing double-flowering Plum Trees (The Rose Tree of Chine). 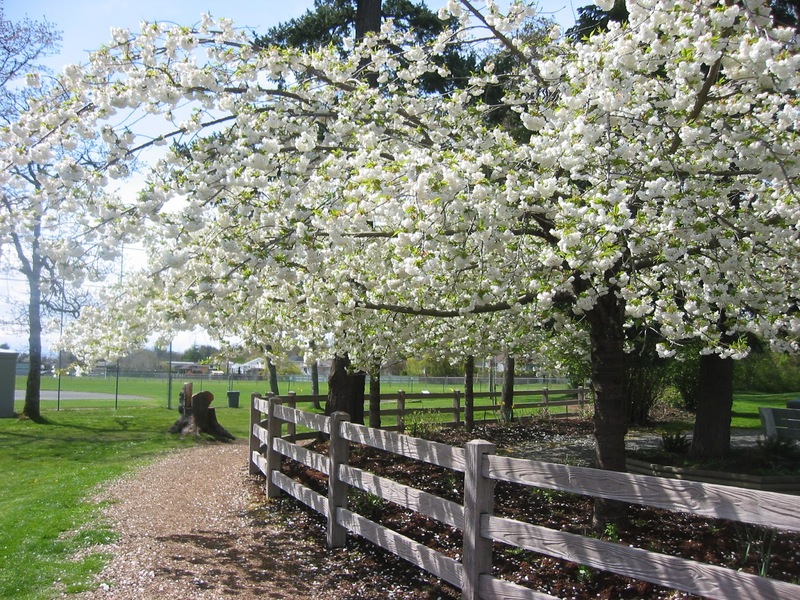 The Whitcomb Cherry trees are the first to come out, ususally in March (however, some start blossoming in Mid December or early January). 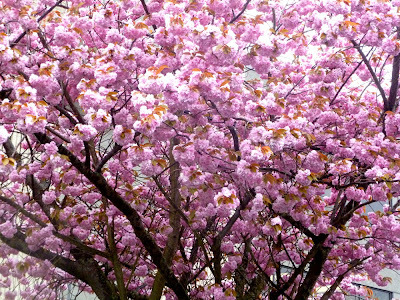 These are indeed beautiful, but my favourite part of spring is when the double-flowering plum trees blossom. It is like looking into a pink cloud. You cannot look into the heart of one of these trees and not remember it forever. My second favourite time in spring is when the apple trees blossom with thick white blossoms. Enjoy our spring experience. This day started out sunny and ended in an unexpected downpour. For more pictures go to our Facebook page.